/ Cracked the Code / Testing your ketone levels at home! Testing your ketone levels at home! So you've been eating nothing but bacon, eggs, and cheese this week- score! You're seeing results from practicing a low carb lifestyle and feeling better overall already. Still, you wonder- am I in ketosis? Here are a few easy ways to test your ketones at home! Take a strip with you when you feel the need to use the restroom. Simply urinate on the strip and wait for the results to come in! Essentially, the deeper the color, the deeper into ketosis you are! Ketone strips measure the ketone called acetoacetate. It is one of the key "energy" ketones. So if you are registering high on the keto test strip it means you are excreting acetoacetate as you start to become keto-adapted. The more keto adapted you become, the less acetoacetate will eventually be excreted and the lower the measurement will be on the keto strips. The blood meter actually measures BHB, but not acetoacetate so it is more accurate as you become keto-adapted, but again, it doesn't measure acetoacetate so total blood levels of ketones are still not truly measured. Below is a chart of what you may see when testing your ketone levels! LO - 0.4: Not in ketosis, or leading into ketosis. 0.5-3.0: Optimal Zone, this is where you should aim to be! 3.0-5.0: Called "starvation", but most likely is reached during a fasted state. 5.0-7.0: Medical. Being in this zone may be dangerous and you may want to consult your physician. 10+: Please seek medical attention! The KetoniX breath meter is designed to measure acetone. Acetone is eliminated mainly through the lungs, that is why people sometimes have what we call "keto breath." The KetoniX meter measure acetone and tries to mathematically determine the amount of both BHB and Acetoacetate by how much acetone is being produced by the liver through the ketogenesis process. 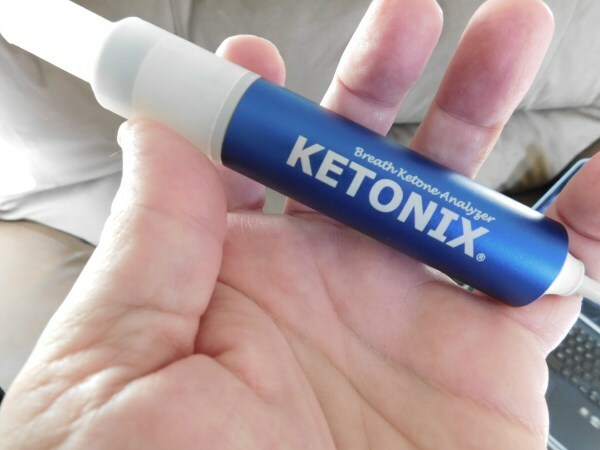 The issue with the KetoniX meter is that if you are taking PRIME every day, it will not be an accurate measurement of total blood ketones because PRIME delivers BHB directly to the blood and does not produce acetone in that process, the KetoniX meter only measures the ketones being produced in the liver.